A drilling machine, called a drill press, is used to cut holes into or through metal, wood, or other materials. 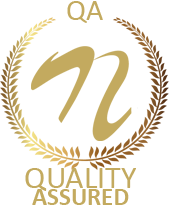 Drilling machines uses a drilling tool that has cutting edges. 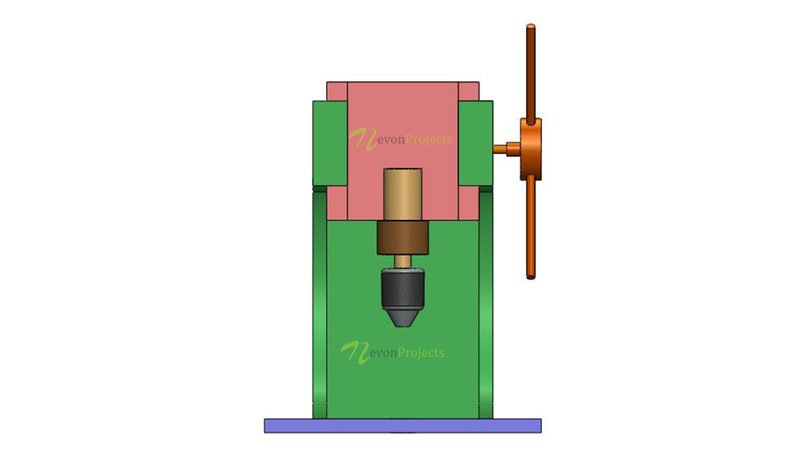 Press drill machine performs operations like countersinking, boring, counterboring, spot facing, reaming, and tapping. Hand drilling machine has a lot of disadvantages like, it requires efforts of the person using it and also it does not provide accurate results. Hence to overcome such disadvantages, a press drill machine is used. 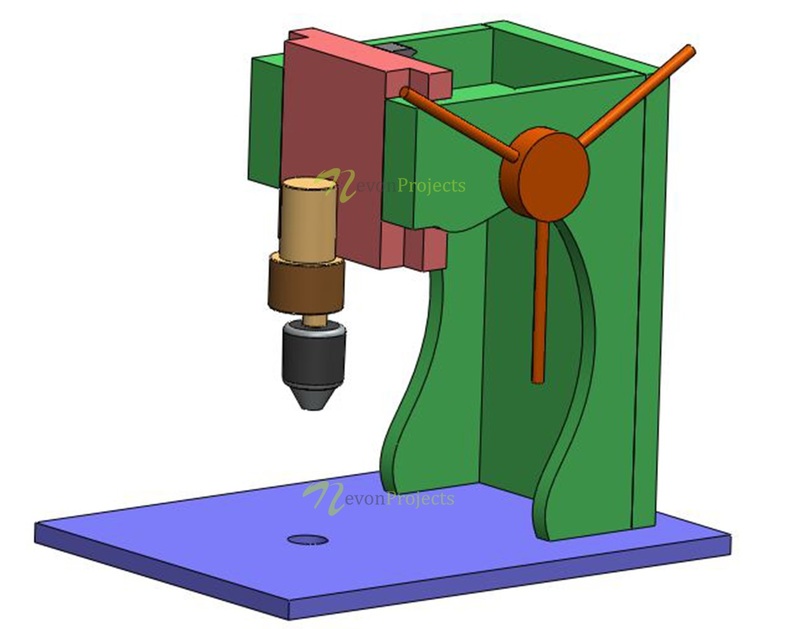 In this drill press project, a cutting tool is attached to the drill press by a chuck or Morse taper and is rotated and fed into the work at variable speeds. This Mini Drill press consists of a DC motor, rack and pinion with a wooden frame which provides support to the entire device. 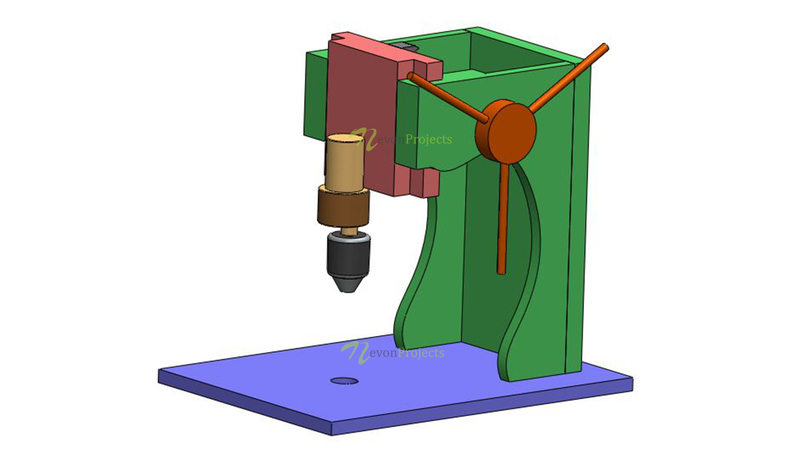 This drill press machine also consists of a side shaft gear, a DC motor with a spindle which is attached vertically. For vertical up down motion, rack and pinion provision is given. This drill press machine makes drilling easy and efficient.